Becci & Karl’s Wonderful Pennyhill Park Wedding. 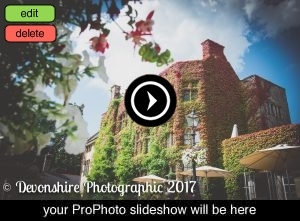 The 1st September saw Becci & Karl’s wedding day at the absolutely stunning Pennyhill Park. Despite living just across the road, I had never photographed here before, and I couldn’t wait! I started my day as I met Becci and the girls as they got ready at the hotel. Meanwhile Dan met Karl and the boys as they arrived for the big day. The couple had a beautiful ceremony followed by drinks and photos on the lawn. Before dinner I managed to quickly grab the newly weds for a few shots under the stunning chandelier in the hotel, which made a great backdrop for photos. Rather than a traditional entrance into their wedding breakfast, Becci & Karl had organised a surprise for all their guests; they were piped in by a piper! It was an amazing entrance and one I certainly won’t forget! After their speeches myself & Dan left the happy couple to enjoy the rest of the their big day. Congratulations Mr & Mrs Macintyre, here’s a preview of your amazing wedding day….